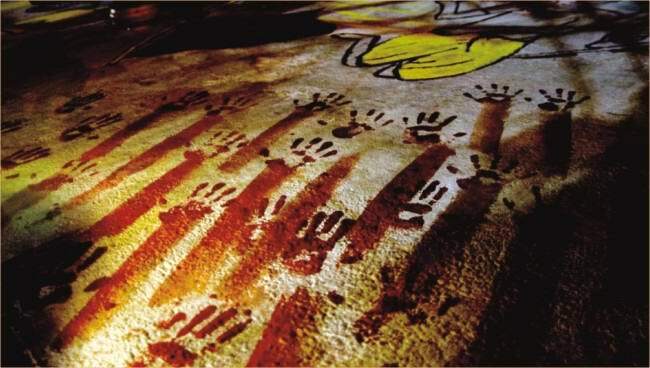 Arsenic Poisoning: Are we loseing ground? Latifa Begum of Alipur, Faridpur counting her final days. While lying on the floor of Faridpur Sadar Hospital . A very poor family - husband died years ago, and his eldest son sells newspapers to live hand to mouth on these difficult days. Those who already died are from Aliabad, Kuzurdia and many other areas. And many without knowing the reasons are still waiting for miserable days to end. The contamination of wells with arsenic is one of the greatest environmental disasters being faced today and must rank as one of the worst in recent times. A very few politicians and bureaucrats live in the affected villages and the people dying are considered to be of no consequence. Over the years in Bangladesh, a surfeit of arsenic NGOs exceptions engaged in arsenic studies, research and mitigation, have been vending some business wares to extract good commerce out of the menace of arsenic contamination. WHAT became obvious was the extreme contempt in which the official technocrats and bureaucrats held ordinary people. The entire idea of development in Bangladesh is based on the GO-NGO co-operation model and the people have little role to play in this. NGOs are generically fund seekers and now provider of employment. Most of them have almost no reality beyond this. And this generally grovelling bunch conveniently represents the public face in the eyes of the donors who ultimately decide policies. Not because they want to but because they have to. The ability of the national counterparts is so low that they would not be able to formulate a policy without donor support. They are unable to disagree either because that might mean fund cuts. So it all ends up in the same basket. Worse still, the token efforts of the World Bank and other aid agencies has added nothing to solving the problem. On the other hand, exposure to arsenic has 'alarmingly' increased the infant death rate, cardiovascular and cancer deaths and skin lesions in the regions with high arsenic concentration. There are many quarters, according to an international study conducted by the World Bank and the Water and Sanitation Programme, who are pursuing their diverse interests, not always humanitarian, centring the arsenic issue. Money obtained from different sources about 40 Million Dollars (World Bank, UNICEF, US AID, CIDA (CANADA), JAICA (Japan), SIDA (Sweden), Australian Aid, UNDP etc) for arsenic mitigation has totally failed to address arsenic mitigation. And the money is vanished in the name of Arsenic Mitigation. 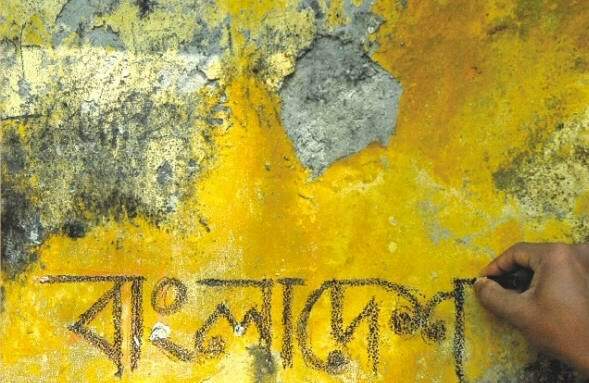 Dr. Ainul Nishat (IUCN), a renowned water expert, says it is doubtful about the achievement of arsenic mitigation by the Government and NGOs (The daily Prothom Alo writes (August 12, 2008). SOS-ARSENIC is reporting this problem since One decade. Matabber of Purbogangabarti, Faridpur and 10 members of the family died because of drinking arsenic contaminated water above 800 µg/l (80 times higher than WHO standard) for decades. 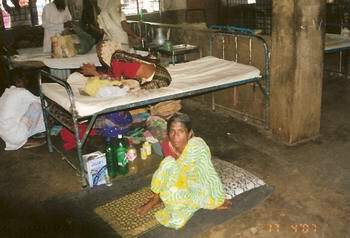 Most remarkable of the news published in Daily Ittefaque on July 26, 2008 that 80 million population of Bangladesh is of high risk of arsenic poisoning and specialists from Dhaka Medical College, Mitford Hospital, Bangobandhu Sheikh Mujib Medical University etc. reported a rapid increase in different cancers, liver cirrhosis, kidney, skin patients due to arsenic poisoning. If this continues a catastrophe of deaths will increase day by day. Dr. M. N. Huda of Mitford Hospitals reports arsenic patients from Kachua, Motaleb of Chadpur, Daundkandi of Commilla and Munshiganj are reported to be in increasing numbers day by day. Smith predicted a big increase over the coming years in the number of cases of disease caused by arsenic. These ranged from skin lesions to cancers of the bladder, kidney, lung and skin to cardiovascular problems. Bangladesh is grappling with the largest mass poisoning of a population in history because groundwater used for drinking has been contaminated with arsenic. In Region of northern Chile, 5-10% of all deaths occurring among those over the age of 30 were attributable to arsenic caused internal cancers, in particular bladder cancer and lung cancer. Average exposures were in the order of 500 µg/l (0.5 mg/l) over 10-20 years (Smith, 2000). My observation in Faridpur is also the same. Those who were drinking 500 µg/l over 10-20 years are already dead or facing serious health hazards. And those who are drinking low dose to medium (most of Bangladesh's population) only the time will say will they lead a normal life! 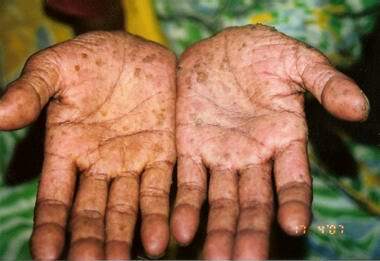 Hypopigmentation (white spot), Hyperpigmentation (dark spots), collectively called Melanosis and keratosis (breakup of the skins and on hands and feet), skin cancers internal cancers - particularly bladder and lung. 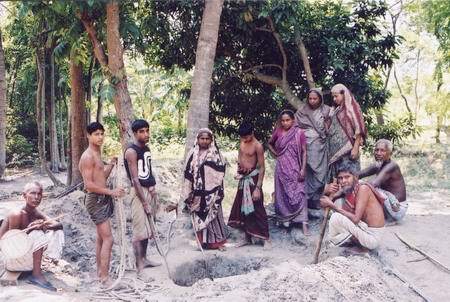 Using the current US Environmental Protection Agency standard of 50 mg/l (same in Bangladesh), it has been estimated that the lifetime risk of dying from cancer of the liver, lung, kidney or bladder while drinking 1 litre a day of water containing arsenic at this concentration could be as high as 13 per 1000 persons exposed (30). Using the same methods, the risk estimate for 500 mg/l of arsenic in drinking-water would be 13 per 100 people. In its latest document on arsenic in drinking-water, the US National Research Council concluded that exposure to 50 mg/l could easily result in a combined cancer risk of 1 in 100. Due to the carcinogenic nature of arsenic, the World Health Organisation has issued a provisional guideline for maximum permissible concentration of arsenic in drinking water - 10 micrograms per litre. But most developing countries, including Bangladesh, China, India, Myanmar, Nepal and Pakistan, still use the former WHO-recommended concentration of 50 micrograms per litre as their national standard of arsenic in drinking water, particularly due to economic considerations and the lack of tools and techniques to accurately measure such low concentrations, the study points out. Countless editorials and reports have been published on arsenic contamination but we all know that as far as concrete results are concerned, our achievements have not been overwhelming. New Age May 19, 2006 writes, Over the years in Bangladesh, a surfeit of arsenic NGOs engaged in arsenic studies, research and mitigation, have been vending some business wares to extract good commerce out of the menace of arsenic contamination. Now the thirty five million dollars or more has been misused as other projects in Bangladesh. Sos-arsenic proposed to LGRD Ministry simple pragmatic methods to combat arsenic mitigation. But they refused to take our advice. Several deep tubewells are unnecessarily sunk, where shallow water wells. 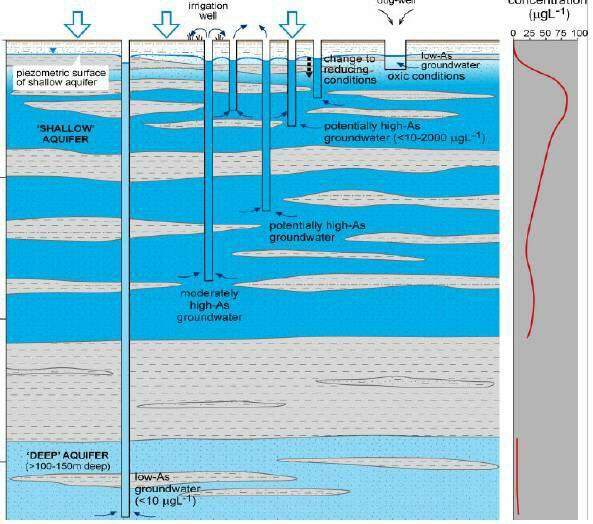 To identify "stratigraphic trap of arsenic free water" (if present) within contaminated aquifers within deltaic deposits is the cheapest and easy alternative. Faridpur Water Supply, almost a century old, reduces arsenic concentration from 220 µg/l to below required standard after sunlight/air oxidation and sedimentation. Three basins will be optimal, where iron sulphate coagulation will completely remove arsenic. Such simple and community based water supply units requires in Bangladesh. High tech and expensive foreign experts are not required. Deep tube wells in Southern Bangladesh, with special reference to saline water intrusion and improved drilling methods on a contaminated aquifer. "Arsenic free water trap" at shallow depths. Dug wells, only when "shallow water trap" is not available. Low cost community based water purification units.